A now-extinct giant 'Siberian unicorn' existed much more recently than previously thought, paleontologists say. The animal, an elasmotherium Siberian rhinoceros was previously thought to be extinct 350,000 years ago. However, new research by experts in Russia indicates that the animal may have existed until 29,000 years ago. 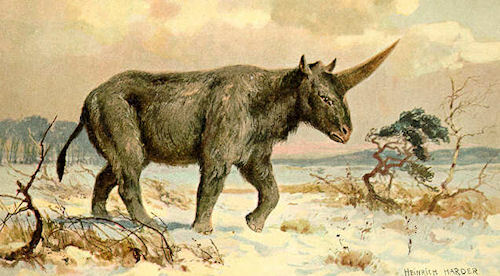 This means that the 'unicorn' may have roamed the Earth at the same time as humans - a human fossil found in western Siberia in 2008 was dated to 45,000 years ago.